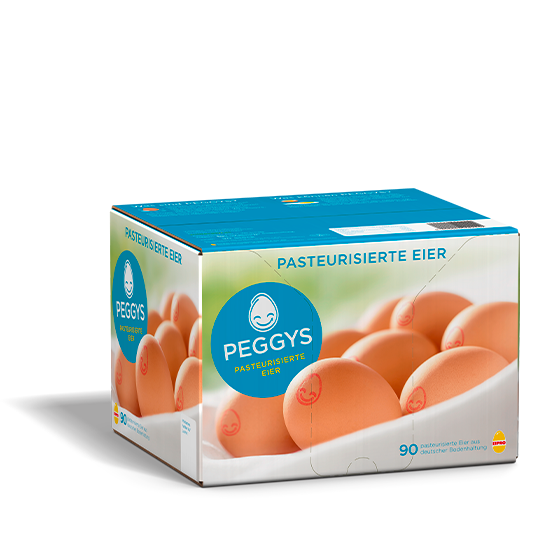 Fresh, pasteurised eggs in safe packaging. 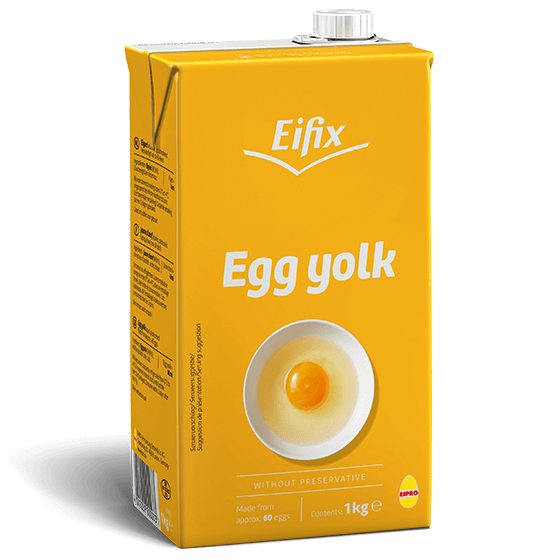 Pasteurised egg yolk for safe egg dishes. 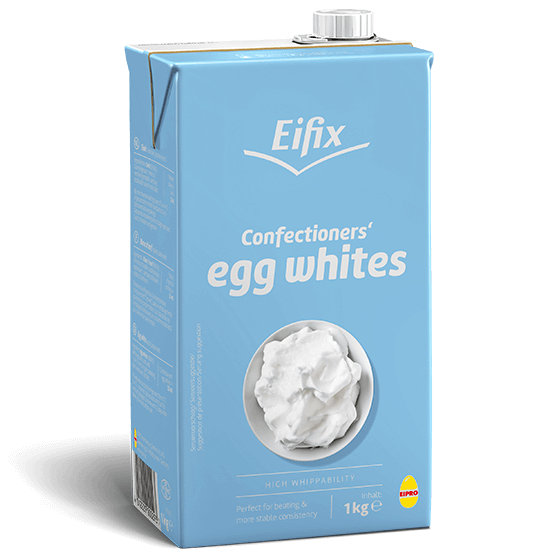 Guarantor of quality for desserts, cakes and soufflés. 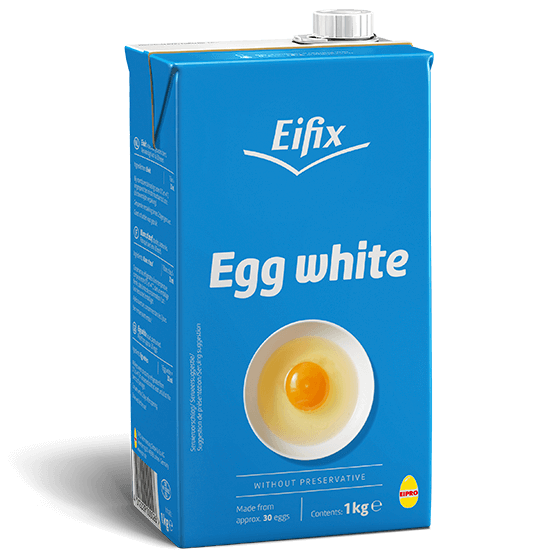 Beatable egg white for guaranteed foamy stiffness. 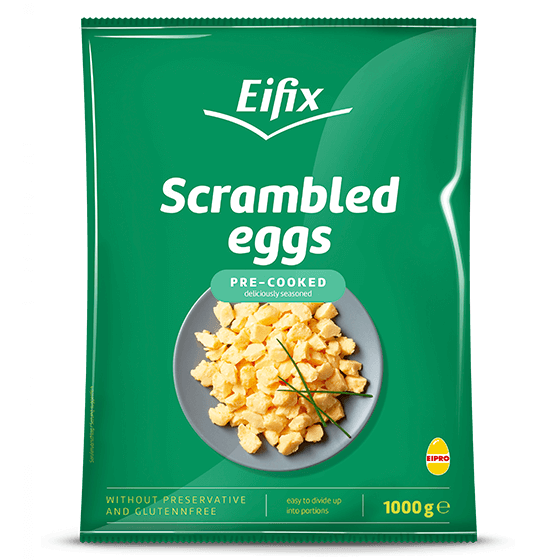 Easy-to-make, gourmet scrambled eggs with choice ingredients. 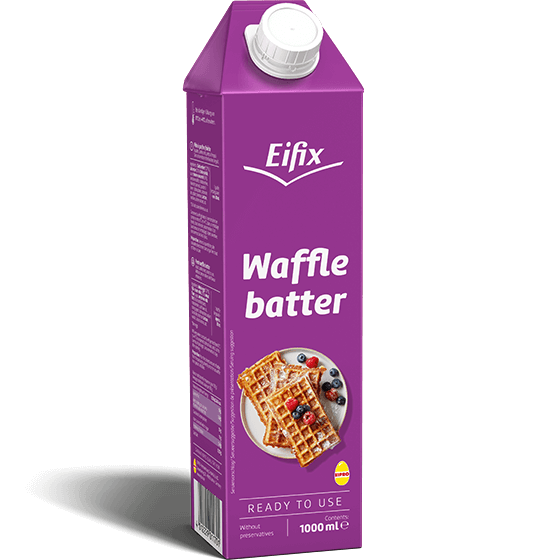 Easy-to-make waffles, no stirring required. 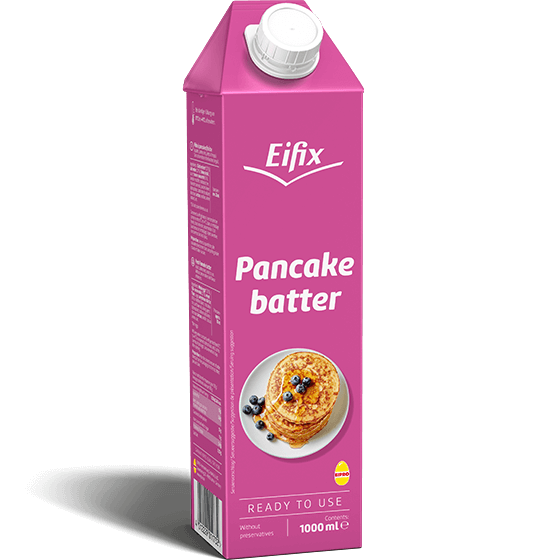 The perfect recipe for fluffy pancakes. 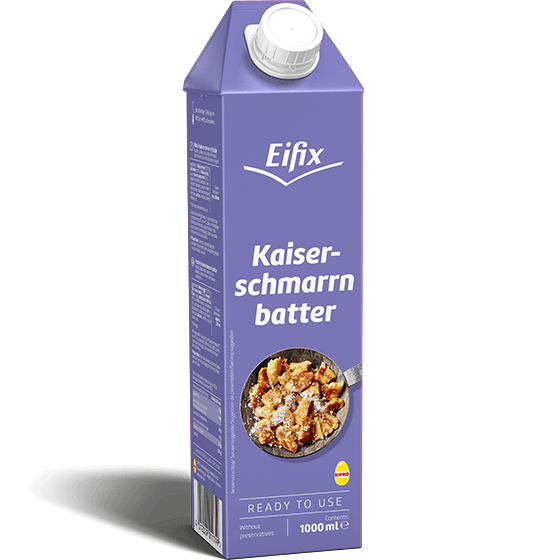 Light, fluffy Kaiserschmarrn, just like homemade. 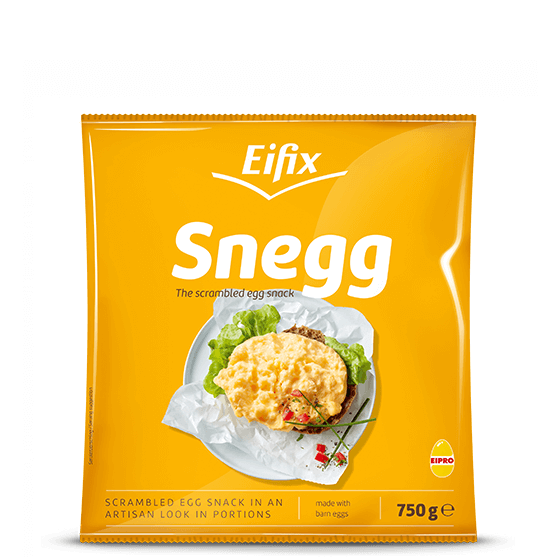 Our frozen scrambled egg snack. 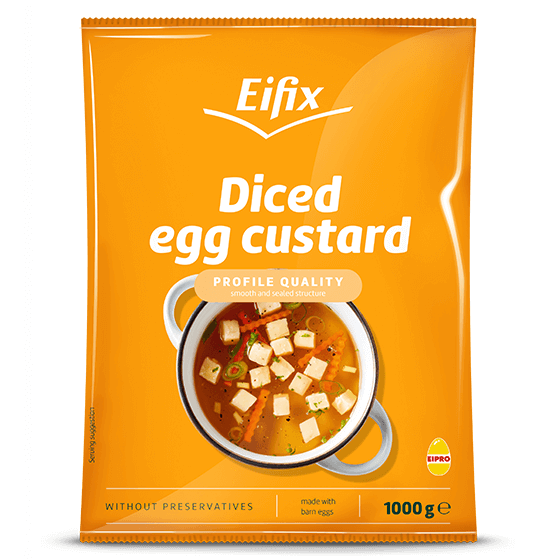 Perfect soup garnish for more flavour. Simply heat and they’re ready to eat. 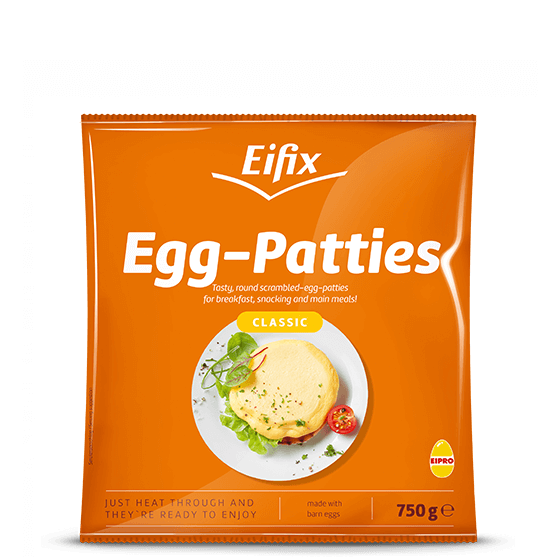 Fried eggs without the work of cracking and frying the eggs. 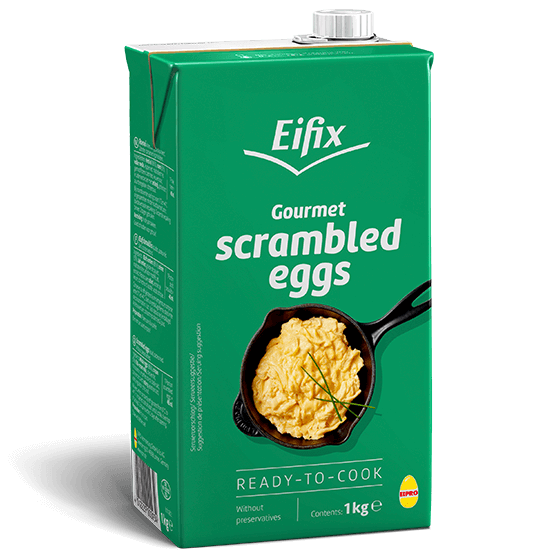 Light and fluffy folded omelettes. Classic pancakes without filling or filled with three different fruit flavours. 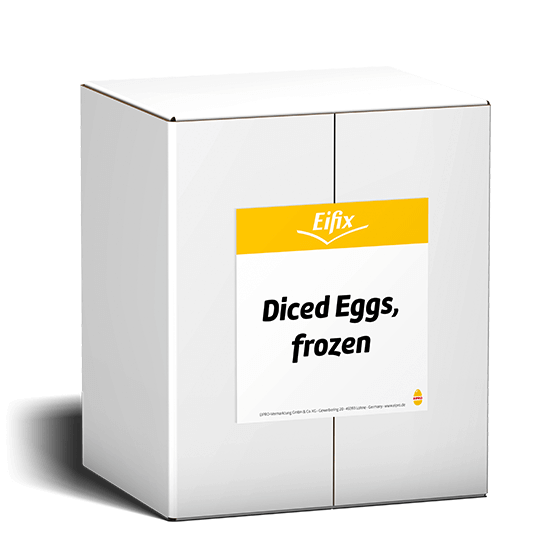 Boiled, diced, frozen and very versatile. 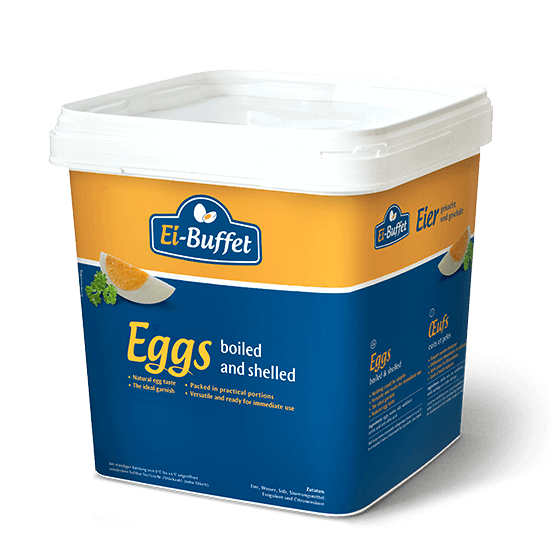 A very special egg – pasteurised, natural, safe. 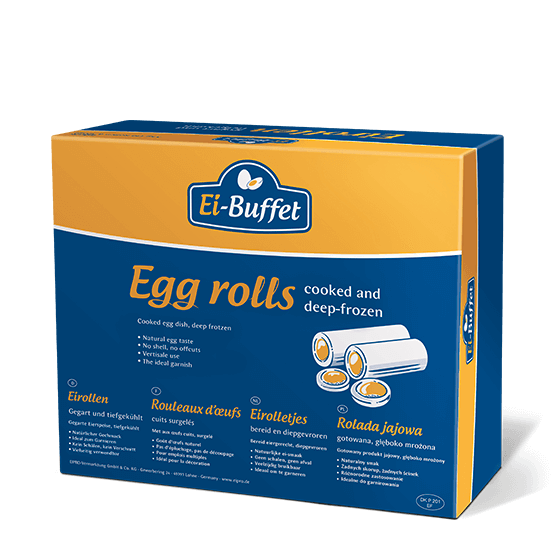 Save valuable time with practical rolled eggs. 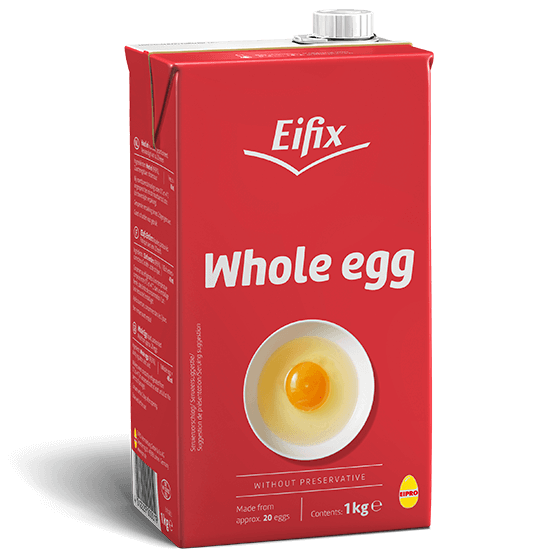 A real workload reduction: boiled and shelled eggs. 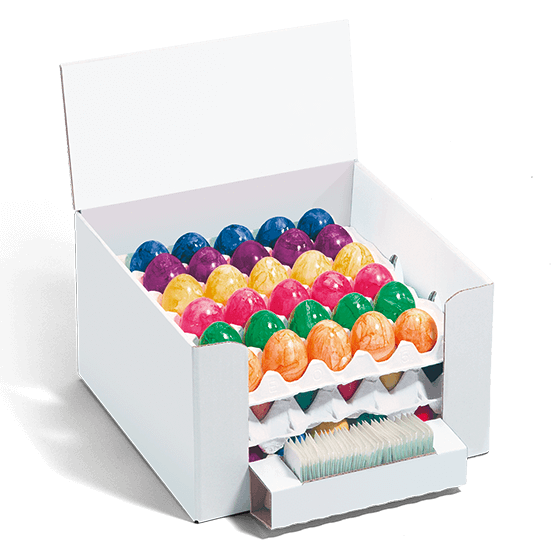 An eye-catcher: boiled, decorated eggs with a sales display box.